Upgradation of technology not only brings certain changes to our lives in a beneficial way but also in terms of inconvenience to our typical habit of using devices and gadgets. In the context of the same, the example we can give is the transition from the traditional 3.5 mm audio jack to USB Type-C. Earlier almost all phones were coming with 3.5mm port even today the strength of devices those are using this port is higher than the USB Type C. However if you look around all the premium smartphone already have started ditching the 3.5mm and adopted the universal port USB Type C for multiple purposes. 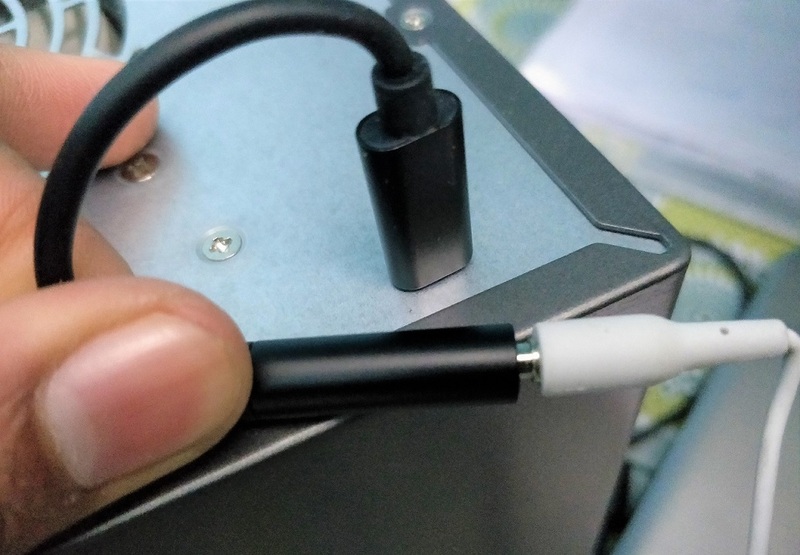 Also, the advent of Type-C ports in MacBook, Windows laptops, tablets, even in enterprises devices stipulating that there will be a complete eradication of 3.5 mm ports soon in near future. It also has escalated the trend of using wireless Bluetooth headphones. Perhaps, if you have bought some premium wired 3.5 headphones earlier and those are now not in use because your latest addition of smartphone is on only Type-C ports, then don’t be get anxious. We have a way to solve this problem using the converters such as USB Type-C to 3.5mm converter or adapter. 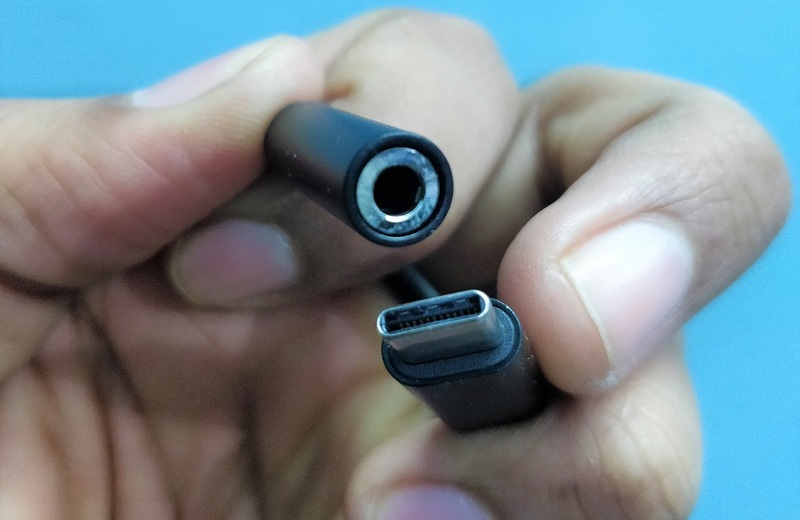 Although the market is full of cheap USB Type C to 3.5 mm adapters but not good in quality. 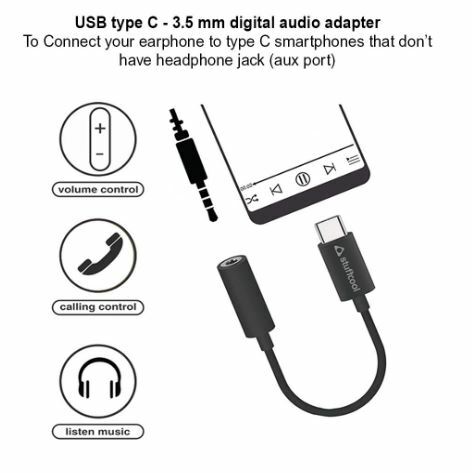 So, if you want some good converter that can also enhance the quality of music you listen then the Stuffcool USB Type C to 3.5mm Aux Digital Audio Headphone Jack Adapter/Connector can be an option. So, today I am here with a quick review of this mobile accessory. 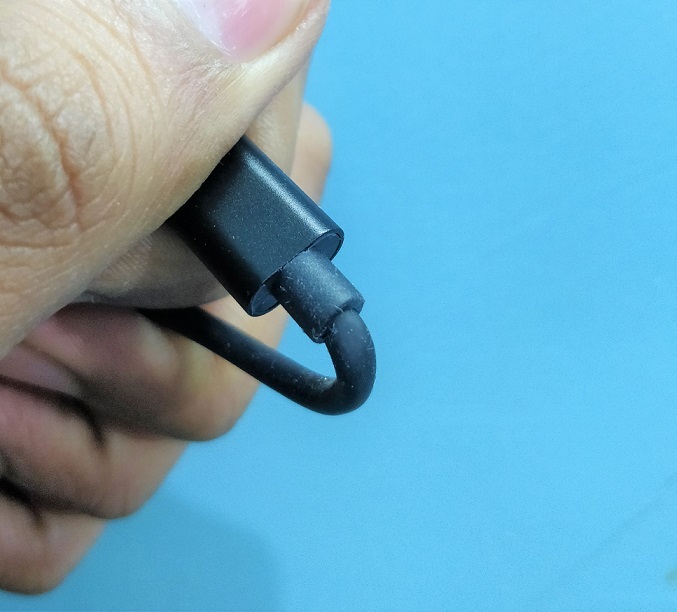 The design of the Stufcool USB Type C to a 3.5mm audio jack connector or adapter is not different than the other adapters of the same category, the only thing which makes it different the durability. The TPE (Thermoplastic elastomer) and Aluminum alloy are two materials have used in this adapter, which no doubt makes it durable and easy to stand against the rough usage. The total length of the converter is 12cm which is quite short and allows the users to keep it easily in pocket or wallet after the usage. 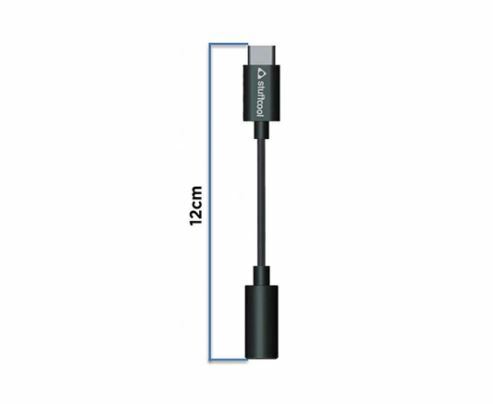 The Stufcool USB Type C to a 3.5mm audio jack connector is only available in black colour. 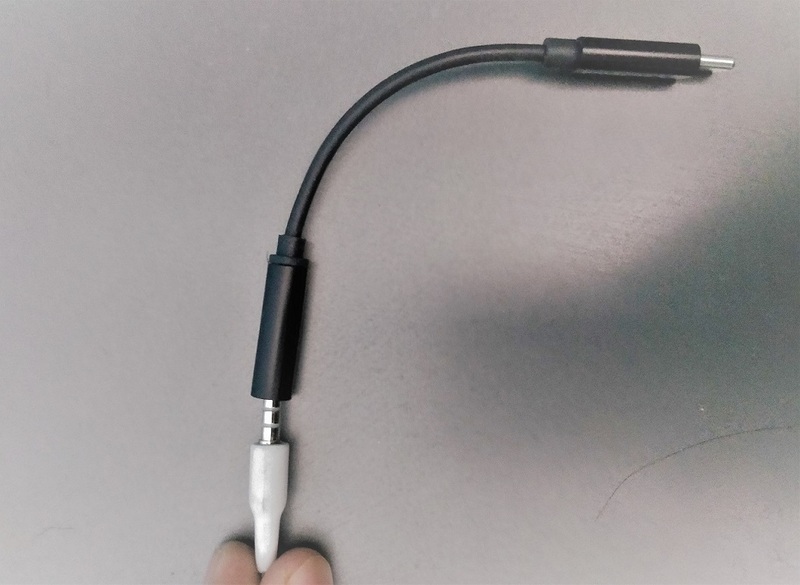 To use it simply connects the USB end to a device and another end which has the female 3.5mm port, use it to insert the headphone jack. As I said connecting the adapter to a smartphone is super simple but what after that. Most of the users worry about the performance of the converters after purchasing the product, will it be work on their devices or not. So, folks, if you have a smartphone already with both 3.5mm jack and USB Type-C then it hardly works on that because I used it with my Oneplus 5 which has both the ports and this converter didn’t work there. Then I tried it with the Google Pixel and other devices those only have the USB Typ-C that act for both charging and audio output, there it worked flawlessly. This means buy it only if you don’t have the 3.5 mm port on your device. 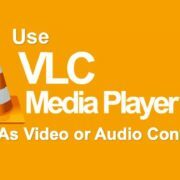 Second thing, does it enhance the quality of audio? 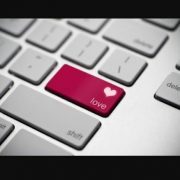 The answer is yes. 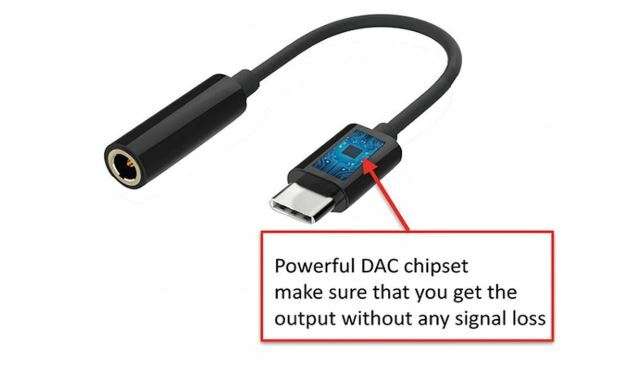 The inbuilt DAC chip of the converter ensures the delivery of lossless and crisp music from smartphone/laptop without any signal noise problem. Not even the music but it also supports the remote of the headphone attached to the device. It let you make voice calls; listen to music and control both using the inline-remote of the earphone. 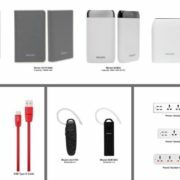 It comes with 6 months warranty and can use with various devices Google Pixel 3, HTC U11, Moto Z, MacBook Pro and many more. Simple easy to use Converter with DAC to offer noiseless sound along with durability, what else we need from a USB Type C to 3.5mm adapter. If someone has a budget, he/she definitely can go for this. Moreover, it is available on Amazon, so in case you bought and didn’t like it you can easily return during the grace period.